SIR PAUL MCCARTNEY, TOM HANKS AND RITA WILSON WILL LEAD A CELEBRITY CAST AT THE SHAKESPEARE CENTER OF LOS ANGELES 23RD ANNUAL SIMPLY SHAKESPEARE! 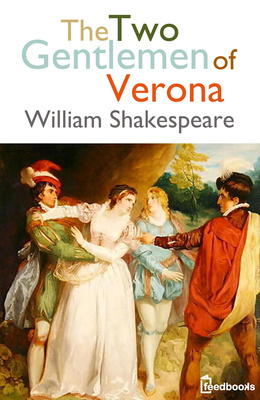 Two Gentlemen of Verona,” Wednesday, September 25, 2013 at The Broad Stage, Santa Monica. The evening will feature a star-studded cast including Sir Paul McCartney, Tom Hanks, Rita Wilson and William Shatner. Additional participants will be announced in the coming weeks. 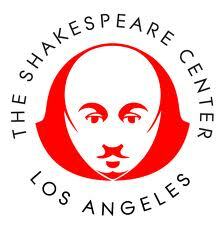 Simply Shakespeare is one of Los Angeles’ most anticipated annual fundraising events and features a hilarious and entertaining evening of impromptu Shakespeare and song. education in local schools, and professional union contracted productions at the Japanese Garden on the grounds of the West Los Angeles Veterans Medical Center, that are accessible to all. Simply Shakespeare previous all-star casts have included Tim Allen, Annette Bening, Kenneth Branagh, Jackson Browne, Billy Crystal, Sally Field, Kelsey Grammer, Neil Patrick Harris, Faith Hill, Sir Anthony Hopkins, Kate Hudson, Helen Hunt, Lisa Kudrow, Lyle Lovett, Steve Martin, Reba McEntire, Tim McGraw, Matthew Perry, David Hyde Pierce, Jada Pinkett Smith, Keanu Reeves, Julia Roberts, Ray Romano, William Shatner, Martin Sheen, Martin Short, Will Smith, Robin Williams and Renee Zellweger. academic enrichment program that combines hands-on artistic experience with paid job training and arts education for at-risk youth. The program has been nationally recognized for its effectiveness in reducing high school dropout rate and delinquency. More importantly, it instills a lasting sense of creativity and competency in the youth who participate. programming that explores how the arts can contribute in a meaningful way in the efforts to assist veterans to recover and reintegrate into mainstream Los Angeles civilian life. This summer’s “Shakespeare Under The Stars” professional production of “A Midsummer Night’s Dream” incorporated a full veteran workforce supporting the production and continues to offer free tickets to active military, veterans and their families and care givers. For more information on the Simply Shakespeare benefit performance or SCLA, please visit http://www.ShakespeareCenter.org. There are mental health, food, drug, alcohol, housing, and library services that can be utilized. Donations for the victims on Venice Beach. You are currently viewing the archives for August, 2013 at One World Cinema.